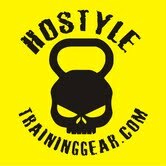 Hostyle Training Gear Powerlifting Wrist Wraps are second to none. Designed for ultimate wrist support and stability allowing you to handle massive poundages while maintaining better groove for all your pressing. Whether you are power lifting, bench pressing, strongman training, or even crossfit using wrist wraps will improve your performance and protect your wrists. and toughest and that is why we sell them. We produce the strongest, fittest people on the planet!! The absolute BEST Wraps, Straps and Belts for heavy duty training! Lose fat, build muscle, increase athletic performance.